Dem Menschen ein Wolf - hanidances Webseite! 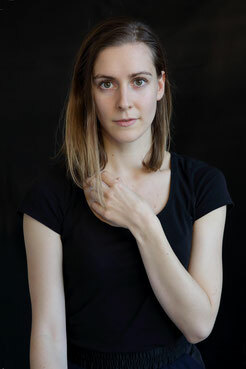 Born in Germany and raised in Spain, she started her dance training in classical ballet, moving to London in 2009 to study a Master in Contemporary Dance at the London Contemporary Dance School. 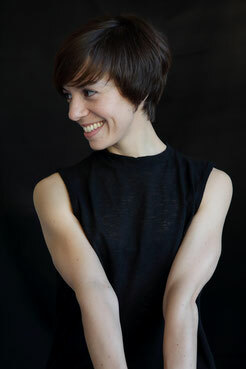 She developped her professional career across europe, dancing in companies such as the Peter Schaufuss ballet, National Ballet of Ireland, Tanztheater Münster and the dance company of the Stadttheater Hagen, getting to work with a wide range of choreographers such as Gustavo Ramirez Sansano, James Wilton, Javier de Frutos, Henrique Rodovalho, Oded Ronen, Yoshua Cienfuegos and Avatâra Ayuso amongst others. Born in Santurce (Basque Country, Spain) he iniciates his ballroom dance journey at the age of 9. 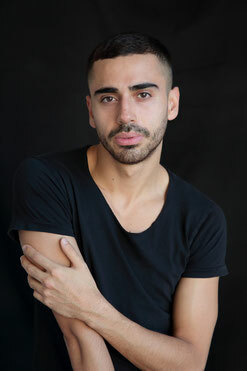 After several years, he moves to Valencia (Spain), to start taking contemporary dance lessons that lead him to work with choreographers as Gustavo Ramirez Sansano, and after that period, he decides to move to Görlitz (Germany) where he starts working as a dancer for choreographers like Noa Zuk. He is currently based in Spain again working as a freelance dancer and photographer. Anna Schneider wurde 1993 in Deutschland an der Mosel geboren. Sie begann ihre tänzerische Ausbildung an der Akademie des Tanzes in Mannheim und vollendete diese an der Hochschule für Musik und Darstellende Kunst in Frankfurt am Main. Während des Studiums tanzte Sie unteranderem in Choreografien von Iván Pérez, Marguerite Donlon und Regina van Berkel. Nach Ihrem Abschluss arbeitete Anna als Gast in verschiedenen Produktionen für das Tanztheater Münster. Seit 2018 ist Anna als Freiberufliche Tänzerin aktiv. classical dance studies. In 2011 He moved to Madrid where he graduated from the Royal Professional Conservatory of Dance "Mariemma", in the specialty of contemporary dance. Edoardo currently works as a freelance dancer in different companies such as Cienfuegos Danza (Valencia), Led Silhouette, La Minima and the Mey-Ling Bisogno Physical Theatre (Madrid). Valentina was born in Siena in 15-05-1992. She studied at “Scuola del Balletto di Toscana” and at “Opus Ballet” in Florence. She worked with Philippe Talard, in a coproduction with Opus Ballet and as a freelance dancer with Jean-Guillaume Weis at Dance theatre Luxembourg, with Hannah Ma, Giovanni Zazzera, Saeed Hani and Sang Jijia. She also worked in a short movie directed by Maurice Lai. 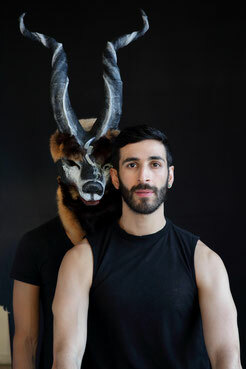 Dancer and choreographer Saeed Hani was born and raised in Syria and received his early training at the Higher Institute of Dramatic Arts in Damascus. After his graduation he joined the prestigious Caracalla Dance Company in Beirut, Lebanon, to tour in Spain, Italy, Turkey, Oman, UAE, Jordan, Algeria and China. He also gained initial experience as a tutor at the affiliated dance school. Since fall 2015 he has been living in Trier, Germany and has performed as a dancer for several plays with various dance companies in Luxembourg, Belgium, France and Germany. In addition, he launched own projects like “One Night Stand” and “Dem Menschen ein Wolf”. Saeed Hani travels a lot representing his work as a dancer, choreographer and teacher using the movement of the human body to communicate with the other cultures. He loves to combine different social perspectives and basically believes in the process of sharing intercultural ideas and viewpoints to create an organic new piece of dance.